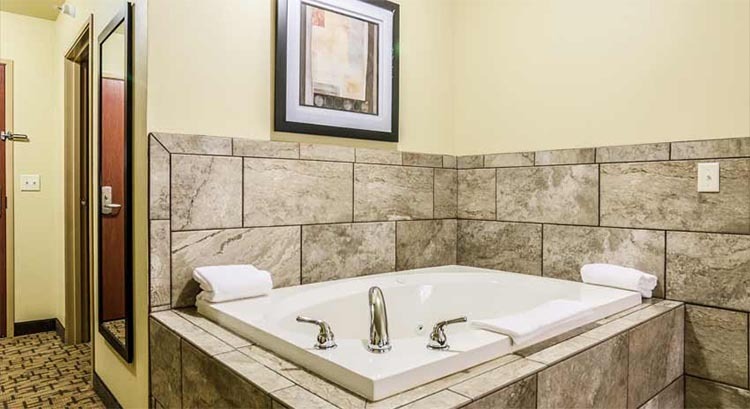 Welcome to the Cobblestone Inn & Suites in Ord, Nebraska. Our beautiful hotel is conveniently located near everything that Ord has to offer! Ord exemplifies simple, safe small town living amidst breathtaking beauty in the scenic North Loup Valley. Ord is centrally located within 30 miles of the Calamus, Sherman and Davis Creek Reserviors. Enjoy a tour of the historic Valley County Courthouse, Evelyn Sharp Air Field, or Valley County Museum while in town. Experience the culture whether it’s live music at the Trotter Event Center or a theatrical performance at the Golden Husk, these experiences will for sure catch your eye. The Ord Golf Club provides a 9-hole golf course that provides challenges for golfers of any skill set. One of Nebraska’s largest flags flies over Bussell Park at Auble’s Pond, you will want to check this out during a nice walk on the pond paved trail. Enjoy a brewed beer at Scratchtown Brewing Company, or a delicious meal from one of the many local eateries. In town for business? 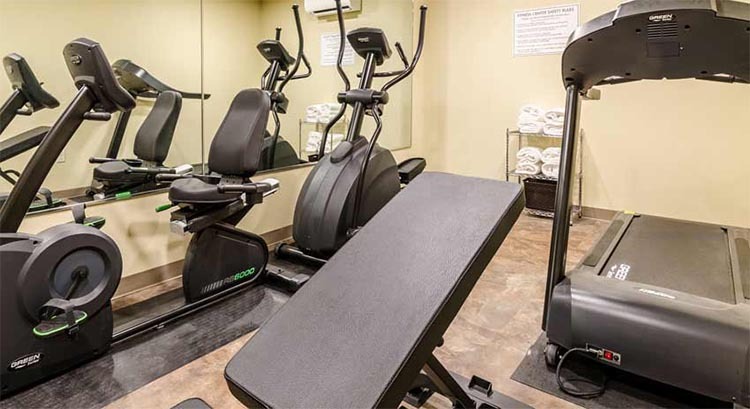 The Cobblestone Inn & Suites offers easy access to Great Plains Renewable Energy, Loup Valley Ready Mix, Nebraska Distillers, Subconn, Inc., and much more! 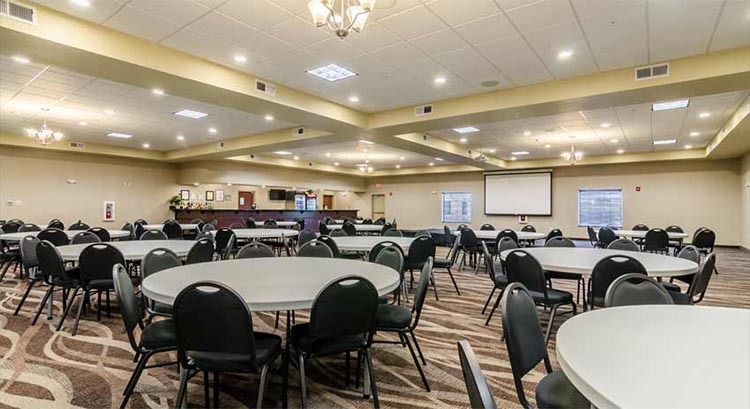 From a simple business meeting to an elegant wedding, Trotter Event Center will serve as a venue for family, business, and community events! Start your day in Ord with our delicious complimentary breakfast. 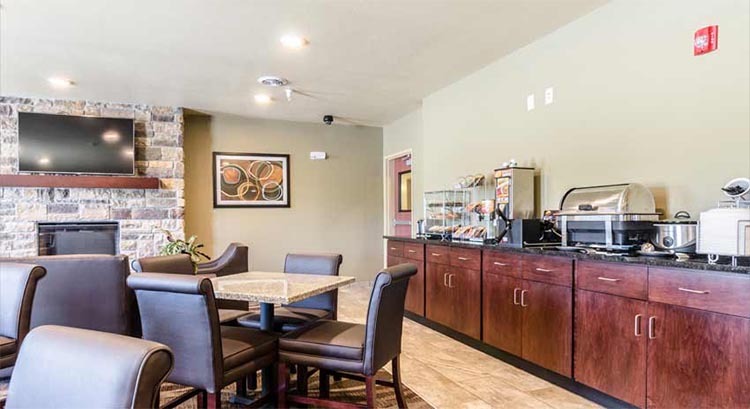 The Cobblestone Inn and Suites in Ord offers a variety of nearby dining options, attractions, and businesses. To book Ord for a large group, please fill out the form below. This will go directly to the hotel and they will contact you.